BEIJING (Reuters) – China has urged rural governments to offer temporary subsidies to pig breeding farms and large-scale producers to help stabilize hog production, as fears grow about the impact of a severe disease outbreak on pork supplies. Factory prices for pork, by far the country’s most popular meat, have jumped sharply in recent weeks, while official figures show the size of the country’s pig herd has slumped by nearly 17 percent on a year ago. While the world’s biggest pork consumer has reported 114 outbreaks of highly contagious African swine fever since the disease was first detected last August, many in the industry believe it is worse than officially reported. The agriculture ministry on Friday urged provincial agriculture departments to release temporary subsidies for breeding farms “as soon as possible” to help them resume production. In a suite of measures, it also called on local authorities to issue timely compensation for infected farms, and to help them improve infrastructure to boost their biosecurity, such as adding high-temperature pressure disinfection equipment. It also urged more support for producers seeking to scale up and more land for large farms, and warned banks not to suspend or limit loans to the industry. The steps come after ministry figures showed the number of live pigs fell 16.6 percent at the end of February from a year earlier, and the number of sows fell 19.1 per cent. Average lean pork factory prices in 16 provinces rose 36.9 percent year on year in the week to March 15, according to data compiled by the ministry and external consulting firm Zhuochuang. Despite the new measures, many large farms are unwilling to restock farms that have had outbreaks of disease, fearing fresh outbreaks, two industry insiders told Reuters. 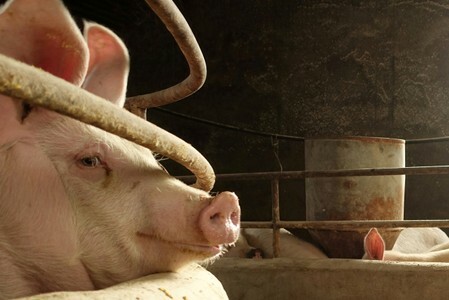 The disease kills around 90 percent of infected pigs and there is no cure or vaccine. It is not harmful to humans. The breadth of the outbreak has also strained provincial budgets. In many cases, authorities are not issuing compensation to farms impacted by the disease, said Yao Guiling, an analyst with China-America Commodity Data Analytics Co Ltd.
Rabobank expects China’s hog production to fall by more than 20 percent in 2019, which threatens to send prices soaring. Supplies from abroad will have only a limited impact on reducing shortages in China, said Yao. “There’s quite a gap between the volume [from overseas] and our annual production of more than 50 million tonnes, so pork prices could rise quite severely,” she said, estimating available global supplies at around 2 million tonnes.